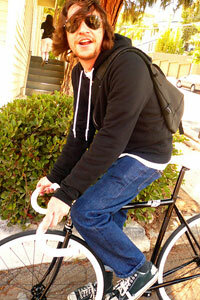 “Fixies”, or fixed-gear bicycles, are still popular amongst a certain subgroup of NYC hipsters. Part of the appeal is the danger, in addition to not having gears, many fixes don’t have brakes and instead require the rider to either apply reverse pressure to their pedals, or to hop their rear wheel up, lock it, and go into a skid. OK so these are some brave hipsters right? NOT SO FAST. 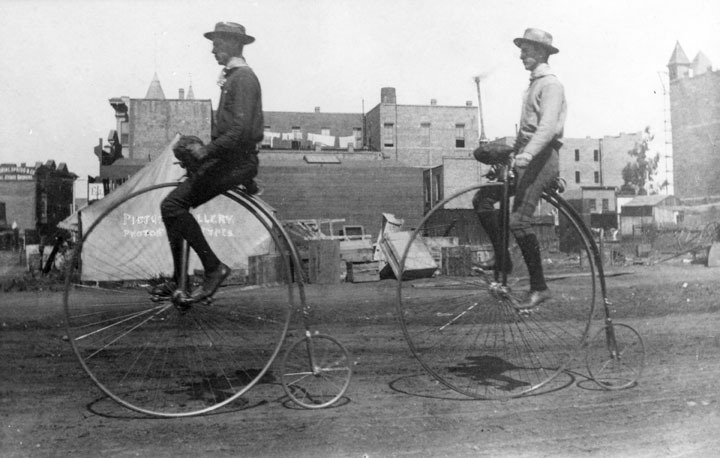 The first bicycles to, in fact, be known as bicycles are now known as “penny-farthings”. The name is based on the similarity in the ratio of the back to front wheel size to that of an English penny and a farthing coin The wheels were large to increase speed – without a chain or gears, the size of the front wheel limited how fast one could go. Penny-farthings were ridden by the hipsters of the 1880’s, typically young men who wanted to show how dashing and brave they were. In fact a penny-farthing IS a fixie, albeit one where you can die if you accidentally tilt over. Have today’s riders gone soft? I think anyone who rides any kind of bike in New York City should get a medal for bravery.